Charter Day School, Inc. is under the direction of the Board of Trustees which is made up of active community volunteers who are responsible for the oversight and operation of the corporation. 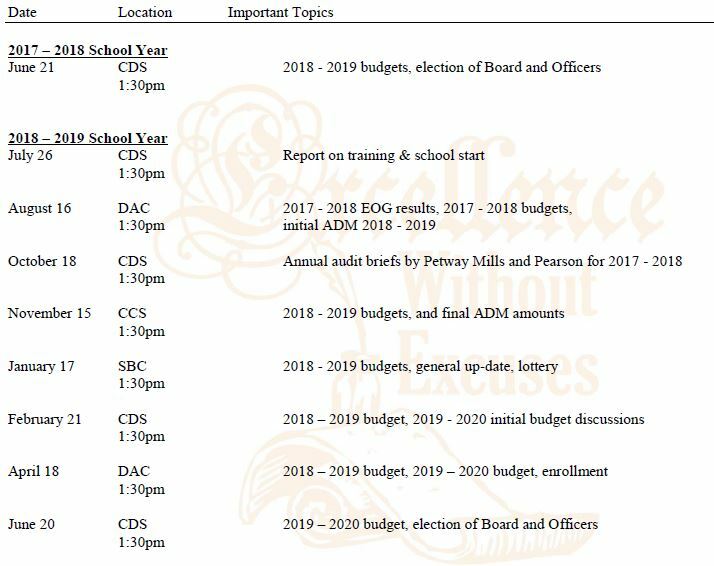 The Board exercises oversight and control of its schools to ensure that they attain the highest possible levels of achievement for their students consistent with sound financial management. Our trustees are noted for their strong leadership skills, extensive experience in their fields of expertise, and their proven track records – especially in creating better communities for our children. As Adopted in Open Meeting of June 21, 2018 or subsequently modified in Open Meetings.